Breaking Down the MLS Expansion Race: Is There a Leader? With the MLS looking to expand to at least 18 teams, possibly 20, their eight candidates have been scrambling to pursue staidum opportunities, develop a grassroots fan movement, and put together a pitch to sell their cities to the league. While the league has talked about expanding beyond 18 teams, that is a risky proposal in the short term. There really isn’t strong enough domestic talent in Canada or the US to support many more teams than are already in the league, and it will take 5 or 10 years for the talent pool to grow substantially stronger. Seattle’s expansion squad will be a good benchmark as far as how much the league’s talent can continue to support growth. With the international player limit relaxed and teams looking abroad more and more to fill their squads, MLS could very well become as international as the English Premier League (albeit at a lower level of competition). Player salaries are another issue. As it stands, teams can hardly afford to pay their players competitive salaries. MLS is way behind other American leagues in that regard, meaning the franchises themselves to focus on getting stronger before the league can think about expanding (strong rivalries and rabid fan support are a good way to make the sport more appealing). The biggest advantage that Las Vegas has in the expansion race is the Las Vegas Sports and Entertainment Group’s $500 million support of a proposed team. Additionally, the Las Vegas area is the fastest growing in the United States, and already has a population large enough to be considered a solid media market. However, Las Vegas has tried for years to lure NBA, MLB, and NHL franchises with no success. 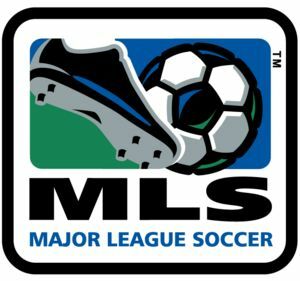 Las Vegas does not have a stadium ready for an MLS team, nor does it seem like a particularly desirable market for the league, given its reputation. Finally, Las Vegas would have no natural, geographic rivals stranded in the desert as it is. LA is the closest MLS cities (4 hour drive), but there is already a strong derby in LA with the SuperClasico. Salt Lake City is 6 hours away and has a budding rivalry with Colorado for the Rocky Mountain Cup. Portland has a strong soccer presence already with the USL’s Portland Timbers (in addition to a great supporters group, the Timber Army). The Timbers currently play in downtown PGE Park, a minor league baseball and college football stadium. Merritt Paulson, owner of the Portland Beavers baseball team and leader of the Portland expansion project plans to revamp PGE Park for the MLS team, move the Beavers to a new suburban stadium, and allow Portland State to use PGE for football. PGE is an intimate venue and has excellent location in downtown Portland. As far as marketability is concerned, Portland is a large market, Seattle is nearby as a natural rival (the Portland Timbers-Seattle Sounders rivalry is one of the oldest in American soccer), and the Timbers long tenure in the city proves that there is interest in the sport. Portland’s biggest hurdle, as is usually the case with sports projects, is getting the city government behind the project. Vancouver has the population edge over its two western competitors, in addition to having strong support for a successful USL team and an enthusiastic owners group. Stadium-wise, the Vancouver Whitecaps play in tiny, 5,000-seat Swangard Stadium, but the MLS expansion group, led by Steve Nash, is targeting BC Place, a 60,000-seat dome that will host the opening and closing ceremonies at the 2010 Olympics. Vancouver would have a natural rivalry with Seattle, as well as being a team for western Canada to throw their support behind, with Toronto being far away. Unfortunately, not having a soccer-specific staidum could hurt Vancouver’s chances. St. Louis will be in the Eastern Conference if they join, but that will most likely push another team (Kansas City?) to the West. With a stadium site and building already drawn up, a strong grassroots fan effort, and a reputation for being one of the country’s most soccer-crazy cities, St. Louis seems like a front runner to land a franchise. Though there isn’t currently a strong pro soccer presence, that will certainly be overshadowed by the area’s rich soccer history (every US World Cup team has had at least one member who has called St. Louis their hometown). With natural midwestern rivals in Kansas City and Chicago, and another team to cement the league’s presence in that region, there are few factors other than incredibly strong proposals from other cities that could keep St. Louis from having the 17th or 18th MLS team. Atlanta is a large market in a part of the country that is sorely in need of MLS expansion. Atlanta Falcons owner/Philantropist/Home Depot co-founder Arthur Blank is the man behind the project, so there is plenty of moeny involved, but the biggest question for Atlanta revolves around support. The Atlanta Silverbacks are an unsuccessful USL team that play in a 4,500-seat stadium. The team has little presence in the area, which would seem to indicate that Atlanta isn’t ready for an MLS team. There are also many difficulties in getting a stadium proposal together in time, as well as getting the city behind the project. My guess is Atlanta will have to wait until the next round of MLS expansion to be a serious player. Liverpool FC owner George Gillet and USL Montreal Impact owners the Saputo family are behind Montreal’s push for an MLS team. The Impact are a well-supported team whose attendance is still growing, and they already have a soccer-specific stadium which only need upgrades to meet MLS standards. A natural rivalry with Toronto FC would be huge for Canadian soccer (and Canadian soccer growth is good for the US because it’s good for CONCACAF). Montreal also has a successful history, with plenty of first-place USL finishes and control of the Voyageurs Cup for the top Canadian team every year since its creation in 2002 (even beating TFC this season). To cap it all off, the Impact will play in the CONCACAF Champions League this autumn because of their victory over TFC. The biggest question for Montreal’s expansion hopes is whether or not MLS wants to expand its geographic boundaries even further, and whether they are really interested in adding another Canadian team. The NHL’s Ottawa Senator’s ownership group is behind Ottawa’s expansion project. Admittedly, Ottawa’s chances are slim, but MLS is very open to the possibility of Canadian expansion with TFC in mind. Ottawa is home to the Fury, a USL development league team that plays in a 3,000-seat stadium, so a new stadium would need to be constructed. The city has no soccer history, so support is not nearly as likely as in another candidate cities. Still, Ottawa is a large Canadian market, and could develop a strong rivalry with Toronto. New York has always been a huge soccer town, as it is THE cultural crossroads of the United States. The Metrostars/Red Bulls have been a failure to capitalize on that possibility. Could you really root for a team named after a foul-tasting energy drink? The franchise has plenty of money and plenty of ambition (see long list of well-known managers and players), but little success to speak of other than a La Mange Cup championship in 2004 over teams from other leagues that play in the summer (Scandinavian or Russian). However with the construction of Red Bull Park, their fortunes may begin to reverse. A second New York franchise will always be dependent on the Red Bulls; its very inception would be catalyzed by the original franchise’s existence and shortcomings. The New York Mets ownership group is behind the current project, with plans to build a soccer-specific stadium on the land currently occupied by Shea Stadium (which is soon to be replaced by $600 million Citi Field right next door). A stronger presence in NYC and a New York derby would be huge for MLS, but can the Mets ownership group put together a viable plan for a rival to the Red Bulls?